Is there a better alternative to MultiInspector? Is MultiInspector really the best app in Audio category? Will MultiInspector work good on macOS 10.13.4? 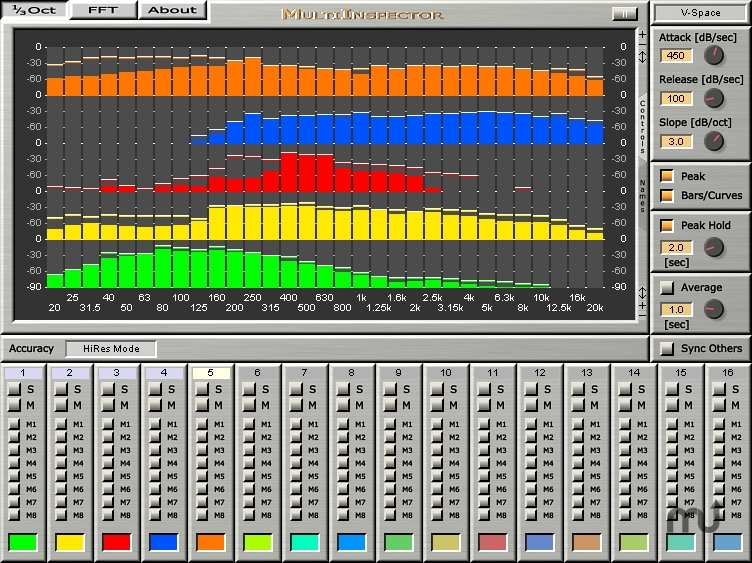 MultiInspector is a multitrack spectrum analyzer (FFT and 31 band third octave) showing the spectral analysis of other plug-in instances in the same window. There are independent editor windows for different views of the same content, a high resolution mode for low frequency bands and many more options for customization. Some graphics related issues solved. AU or VST compatible host software. MultiInspector needs a review. Be the first to review this app and get the discussion started! MultiInspector needs a rating. Be the first to rate this app and get the discussion started!